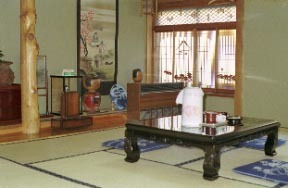 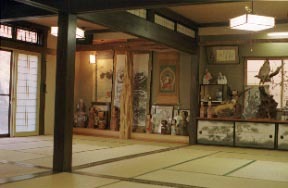 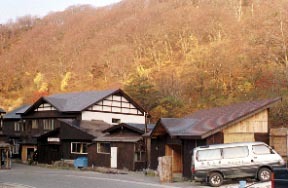 The wooden Japanese style Ryokan in which hot water quantity divides abundance and a ridge into, and has many baths. 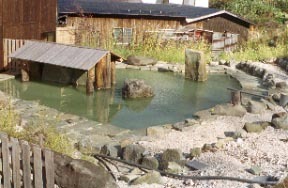 The Large bathroom of mixed bathing. 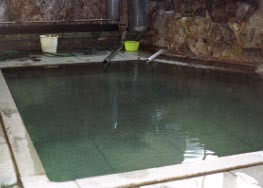 The Large open bath of the mixed bathing established newly.